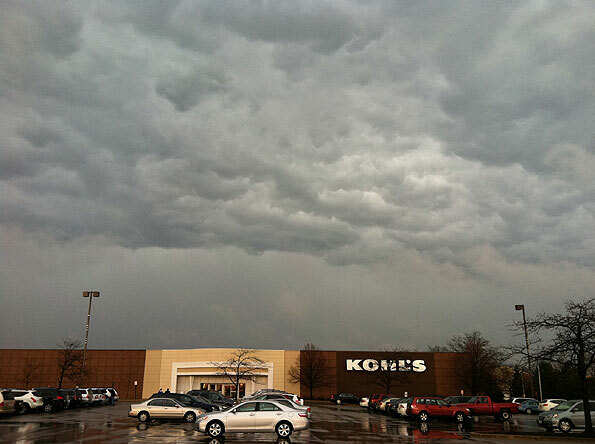 Storm clouds pass by Kohl’s on West Dundee Road in Arlington Heights, about three miles east of the location of a Palatine house fire caused by a lightning strike 15 minutes prior. Palatine firefighter/paramedics and police responded about 3:15 p.m. to a house fire at 110 West King Arthur Court. Firefighters received a report that a lightning strike caused a fire at the roof and attic. Police arrived first and reported no fire on the second floor, but confirmed a fire in the attic with fire and smoke showing. All residents were reported evacuated from the home by the time firefighters arrived. Palatine firefighters knocked down the fire within 10 minutes and were working on overhaul and salvage. Lightning also caused fires in at least three other homes in suburban Chicago. Lightning struck a home in the 0-99 block of Westwood Lane in St. Charles and started a fire that caused $30,000 damage. St. Charles Fire Department stopped that fire about 11:00 a.m. Sunday. Lightning struck an attached garage in Crystal Lake just before 3:45 p.m. Sunday and started a fire at a home in the 5900 block of Marietta Drive in Crystal Lake. No hydrants were located in the neighborhood, and Crystal Lake Fire Department had trouble getting enough water on the fire. Damage to the home is estimated in excess of $200,000. A large three-story home in Barrington Hills was struck by lightning in the 38800 block of Fox Drive about 4:00 p.m. Sunday. Cary Fire Protection District responded just after 4:00 p.m. to a fire caused by a lightning strike that started a fire in a third floor attic, which extended to a second floor room. Next-door neighbors reported the fire while residents were in the home that was on fire. 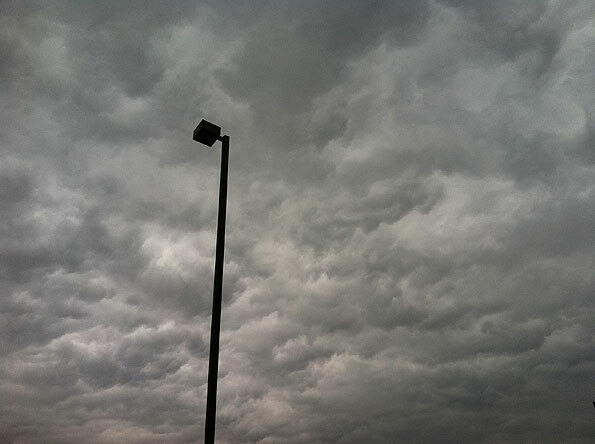 More storm clouds near Kohl’s on West Dundee Road in Arlington Heights, about three miles east of the location of a Palatine house fire caused by a lightning strike 15 minutes prior.